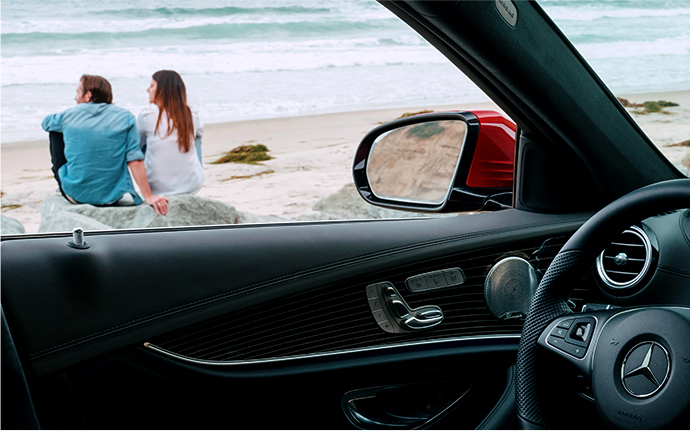 For 2019 and newer models, the latest technology from Mercedes-Benz puts you and your vehicle at the center of it all. Download the app now to activate your services today. 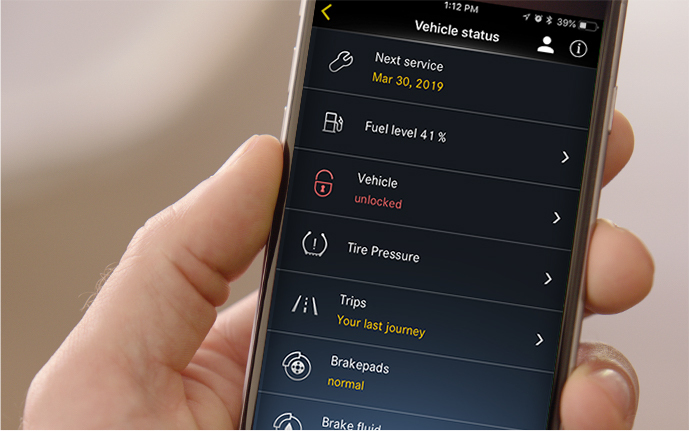 Monitor your vehicle and take action using the Mercedes me connect app. Whether you’re preparing for a trip using Remote Start or enjoying peace of mind with Vehicle Tracker and Valet Protect, these services make owning a Mercedes-Benz even more enjoyable. The assistance features from Mercedes me connect allow you to hit the road without reservation. State-of-the-art technologies keep you safe inside your vehicle and informed when you’re not. See full list of features below. With Mercedes me connect, owning a Mercedes-Benz becomes even more satisfying. Enjoy access to a Mercedes-Benz Concierge, your personal assistant who can help with reservations, tickets, travel arrangements, and more. With the entertainment features from Mercedes me connect, you may never want to exit your vehicle. In-car WiFi lets you and your passengers surf the web at any time, while TuneIn® Radio offers thousands of stations, playlists and podcasts to soundtrack your journey. The Mercedes me connect app gives you total control over your Mercedes-Benz, housing all of your remote access services, from Remote Start to Vehicle Tracker. Download the app now to take full advantage of your Mercedes me connect services. Discover all of the features available with Mercedes me connect. Start your vehicle’s engine remotely, and automatically heat or cool the cabin to your last climate control setting. Lock or unlock your vehicle from virtually any location, and know that your vehicle is always secure. View the latest data from your vehicle, including mileage, fuel level, tire pressure and more. Send an address from your phone directly to the COMAND navigation system in your car. When you get to your car, you can start navigating right away, or save the address to your head unit. For hybrid and electric vehicles, view your charging status and activate climate control remotely. Adjust your in-vehicle settings such as ambient lighting, mirror folding, acoustic lock, easy entry, and more. View the current location of your vehicle on a map using your smartphone or computer. Never forget where you parked again. See your vehicle’s location within a one mile radius, and get walking directions to it. Set up a virtual boundary through the Mercedes me connect Portal, and be notified when your vehicle enters or exits that defined area. View live traffic information and optimized route guidance on your vehicle’s navigation. With Car-to-X Communication, information is exchanged between vehicles on the road, alerting you to various hazards up ahead, such as an accident, fog or icy conditions. When viewing your navigation, Mercedes me connect will display gas and charging stations on the map with helpful information like prices, fuel type, hours of operation and more. Calculate your route based on your vehicle’s remaining range and the charge stations along the way. Need parking? View parking facilities near your location, along with current availability and prices. Install the latest maps to your vehicle’s navigation by downloading updates over-the-air, without affecting the speed or performance of the head unit. Have the option to view location-specific weather and temperatures within your navigation map. Based on your completed trip data and habits, the Mercedes me app suggests a selection of likely destinations, which you can send to your vehicle with just a click. Get reminders of upcoming service, and book an appointment with your preferred service dealer. With any vehicle, wear and tear is bound to happen. Be notified if your car is in need of servicing or a certain part needs to be inspected. If you’re ever involved in an accident, receive immediate assistance and have a towing service arranged via Roadside Assistance. In the event of a breakdown, your vehicle data and position will be relayed to the Roadside Assistance Center for immediate assistance. Allow your preferred service dealer to remotely retrieve vehicle data ahead of service, so your experience is as smooth as possible. Get the latest software installed over the air, so your vehicle is optimized with the most current information from Mercedes-Benz. Customers with an active subscription to the Mercedes me connect Concierge Service can access a 24/7 assistant who will happily assist them with travel accommodations, reservations, purchases, important reminders, questions, or almost any other request. Have a Mercedes-Benz Concierge provide turn-by-turn assistance to guide you to your destination. Have a Mercedes-Benz Concierge send an address directly to your in-vehicle navigation. 2. Concierge Services complimentary for 1 year for E-Class, GLE, GLS, CLS, SL, S-Class, G-Class, AMG GT, and AMG GT 4-door Coupé. Your vehicle becomes a 4G WiFi hotspot allowing you to connect up to eight devices to the Internet. Access TuneIn® Radio using your vehicle’s head unit to surf between 70,000 live radio stations from around the globe. Search by artist or song, and explore categories like music genres, talk radio, sports and more. 3. Remote Start not available on SLC, SL and AMG GT models. 4. Only available on models with NTG 5.5 and later. How do I get Mercedes me connect? To become a Mercedes me connect user, you must own a model year 2019 or newer Mercedes-Benz vehicle. Most remote access services are complimentary for three years. 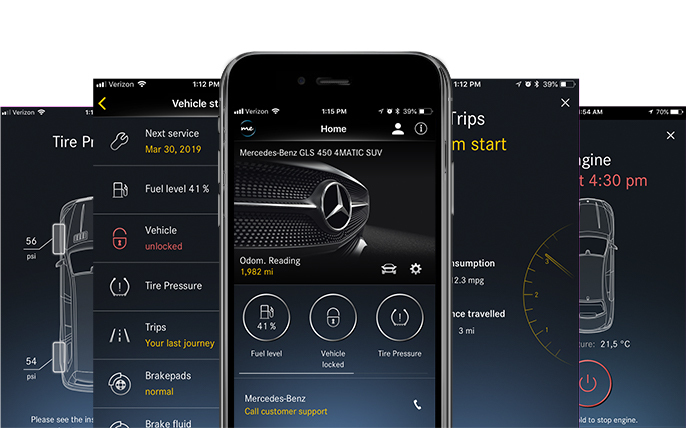 We recommend downloading the Mercedes me connect app to use these features. How do I activate my Mercedes me connect services? Do I need a credit card to activate Mercedes me connect? You do not have to provide a credit card to use Mercedes me connect. The standard package includes a wide range of features, with remote access features standard for the first three years. Do I need Mercedes me connect to have a Mercedes me account? No, Mercedes me is free for everyone, regardless of your vehicle’s equipment and capabilities. However, customers with Mercedes me connect will have access to additional features. How does the Concierge Service work? The Concierge Service offers you easy access to a broad range of personalized services, such as assistance in booking travel, arranging event reservations, scheduling appointments or placing a take-out order. It’s like having an event coordinator for your life. Requested services are fulfilled by a Concierge Specialist directly. In the case of purchases, such as tickets or a gift, they will request your credit card information and complete the transaction on your behalf. What type of services are available through a Concierge? Unique requests and gift purchases such as flowers, gift cards, etc. I don't have an i-button in my vehicle, but i have a 'me' button. How does it work? For non-emergency situations, the ‘me’ button allows you to contact all call-center based assistance services with the press of one button. Examples include Roadside Assistance, Vehicle Information and Concierge Services. View our Frequently Asked Questions, or contact the Customer Assistance Center at 1-800-387-0100. *National MSRP pricing is shown and is intended for informational purposes only. Prices do not include taxes, levies, fees, freight and delivery charges, insurance and license fees, as well as any other products or services not listed that may be available to you through your selected Mercedes-Benz retailer. Vehicle prices subject to change without notice. Dealer may sell for less. These prices do not apply in provinces with total/all-in pricing requirements. Please contact your local retailer directly by phone or in person for exact pricing details and total prices applicable in those provinces. 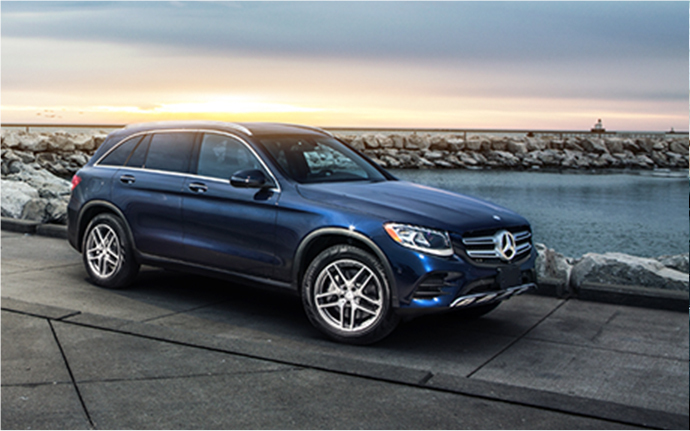 ** Mercedes-Benz Canada Inc. reserves the right to change or discontinue Mercedes me connect services at any time without prior notification or incurring any future obligation. See the terms of the Mercedes me connect Overview of Services. Mercedes me connect is not available on B-class, smart and Mercedes-Benz Vans. Concierge Services complimentary for 1 year for E-Class, GLE, GLS, CLS, SL, S-Class, G-Class, AMG GT, and AMG GT 4-door Coupé. Remote Start not available on SLC, SL and AMG GT models. Only available on models with NTG 5.5 and later. Requires a COMAND system with navigation, which is optional on some models.